A few years ago I got a chance to meet two developers from Media Molecule, the guys who made LittleBigPlanet. I loved the game when it first came out, so meeting them was a real treat. I was there to interview them, and though it was well before the release of LittleBigPlanet 2, I got the strong feeling that they wanted to move onto something new, and basically something that wasn't LittleBigPlanet. They loved their creation and their fans, but you could tell that they were itching to make something new. With that level of creativity and skill in their offices, do you blame them? They did move on from LittleBigPlanet, and that eventually came in the form of Tearaway for the PS Vita. Tearaway was great, but now the latest entry in the LittleBigPlanet series is here. However, with a different developer taking charge, does it live up to the first two? No, but that's OK. Developed by Sumo Digital and out now on Playstation 3 and Playstation 4 comes LittleBigPlanet 3, the third main entry into the franchise, and one that, aside from a few problems, is great fun. While Media Molecule have not developed this latest instalment, Sumo Digital are no strangers to the franchise, namely helping out with some DLC for LittleBigPlanet 2. While the open-ended possibilities of the games sandbox is the focal point as per usual, LittleBigPlanet 3 changes up the mix by adding a more in-depth story, voice acting and cut-scenes to the mix. The story is pretty simple, and revolves around Sackboy teaming up with three heroes to stop evil genius Newton, and the three Titans that have been unleashed upon the world Bunkum. It's not exposition heavy though, and the story throughout is fun, light-hearted and has that very typical LittleBigPlanet charm to it. A lot of that charm is thanks to both the return of Stephen Fry as narrator to the game, and the addition of Hugh Laurie to the cast. His role of Newton is memorable, funny and something I only hope becomes as staple of the series. LittleBigPlanet 3 makes many new additions to the typical LittleBigPlanet formula. Some work, some don't. The most noticeable are new characters Swoop, Oddsock and Toggle, as each one is not only visually vastly different from one another, but they also have their very own unique abilities. Swoop can fly around levels with ease and pick up small objects. Oddsock runs around on all fours and can also wall jump. Toggle is the heavy of the team, and can weight down areas such as pressure plates. Toggle can also turn into a small version of himself, which can be used when you either want to run across water or not activate a pressure plate. And of course there's Sackboy himself! Together they make quite varied team, but I was incredibly disappointed that I couldn't freely play as all four characters throughout the game. You see, from the trio of new characters available, they can only be played in levels within their hub world. Essentially this means that, say, you can only play as Oddsock when playing levels in the Manglewood hub world. I assumed I could switch between all of these characters throughout the game, but that just isn't the case. A real shame, as using all four characters at specific areas in one level would have been pretty interesting. Gameplay itself largely remains the same as what we've seen in previous LittleBigPlanet games. To unlock Oddsock, Swoop and Toggle you'll need to collect glowing marbles in their respective hub world. Of course, navigating levels to find these marbles is tricky, fun and incredible inventive. 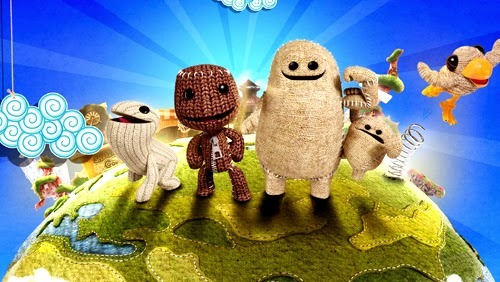 From solving puzzles, using your environment in interesting and fun ways, utilising both Sackboy and the unique abilities of Oddsock, Swoop and Toggle, and generally dicking around in levels that looks like they're made of paper, twine and cushions is just so damn enjoyable and comfy. Then you have the level creation tools, something that LittleBigPlanet 3 masters so perfectly. Though it may not get a mention in many places, whereas previous LittleBigPlanet games have offered the player 3 layers of depth when creating levels, Sumo Digital have bumped that up to 16. It may sound pretty trivial at first, but now levels can have a wonderful sense of depth and detail to them, and creations, if done well enough, can end up looking completely unlike LittleBigPlanet itself. From first-person shooters, racing games, theme parks and platformer games, the sky is the limit with these creations tools in your hands. Seriously. Yet despite all of this, LittleBigPlanet 3 doesn't feel as perfect as the second game. Perhaps it may be the lack of Media Molecule's input, the misuse of the three new characters or the fact that the concept itself may be wearing thin on me, but regardless, it's still a fantastic game in its own right and one that every Playstation owner should have in their collection. LittleBigPlanet 3 is another strong entry in the series and gets a 4/5.